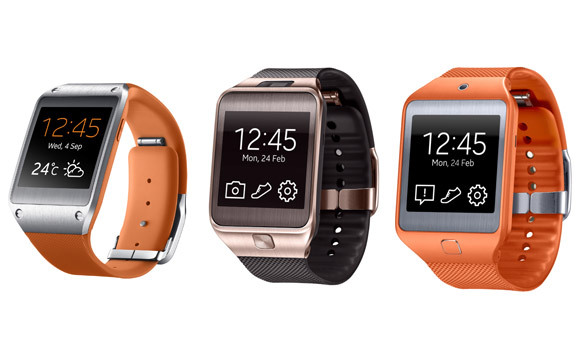 The Samsung Gear 2 Neo watch is a smart companion watch designed for your ultimate look and lifestyle. The device enables you to have pre-set real-time notifications, calls and fitness tracking right at our wrist to help you keep focusin the moment. The Gear 2 Neo matches your style to keep you connected within your lifestyle without distracting you from your day-to-day activities. According to dudepins.com, this ultimate gadget is the only smartwatch to make ranking on the top 30 watches list. This is because of the following features. Samsung Gear 2 Neo allows you to get notifications from your smartphone about your calls and enables you to make and receive calls on a large sAMOLED display screen. This makes communication smooth and seamless, as you are able to get back to your contacts within real time.It also helps you to receive instant notifications from your phone apps such as instant messaging apps on the sAMOLED screen and had the ability to be transfigured with other compatible additional accessories that can be purchased separately.It also allows for accessories such as using a Bluetooth headset, which leaves your smartphone in your pocket.The smartwatch also allows you to screen your incoming phones calls and texts, and scroll through the address book as well as dial numbers direct from the watch. The Gear 2 Neo lacksa camera but instead,it does have the optical heart-rate sensor under the main body of the watch that enables most users looking to start quantified exercising and fitness routines. It, has in-built Heart Rate Sensors, S Health features, and pedometer, that help to keep track of your daily exercise routine giving you customized real-time coaching that helps attain healthy living as well as weight loss goals. It also allows for the download of some Samsung lifestyle and fitness applications that you can incorporate into the daily workout routine. Samsung Gear 2 Neo is IP67 certified. This makes itresistant to dust and water to enabling you not to have an ultimate experience without limitations during rough conditions or unpredictable weather.Using a plastic exterior on the Gear Neo rather than the metal has been enabling a drop in the price by $100. Its visualson thesAMOLED display screenfeelsmore as the app based Android experience than in most of the Google Now powered cards approach in majority of Android Wear. The home screen allow selection from variety of watch faces; sliding views to either side with your finger swipe creatingscreens populated with shortcuts to your choice of apps on the smart watch.This opens up to reveal all the apps in the smart watch in an app view, which looks similar to the shortcuts screen. It has an IR Blaster hence can act as a universal remote control and with 4 GB of storage allows for storage of volume of music on the watch to listen to over bluetooth.